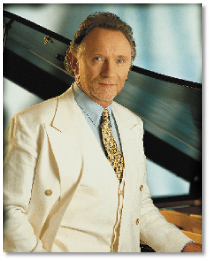 Phil Coulter (born 19 February 1942) has amassed 23 platinum discs, 39 gold discs, 52 silver discs, two Grand Prix Eurovision awards; five Ivor Novello Awards; three American Society of Composers, Authors and Publishers awards; a Grammy Nomination; a Meteor Award, a National Entertainment Award and a Rose d’or d’Antibes. 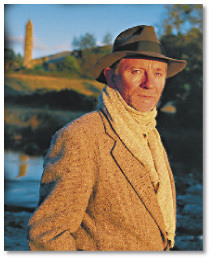 He was born in Derry where his parents encouraged music in the house. He started his first band at Queen's University, playing early rock and roll while studying classical music. He moved to London where his first job was arranger/songwriter with a music publisher in Denmark Street. In 1965, he met lyricest Bill Martin and they became established as a successful songwriting team. They wrote Sandie Shaw's 1967 Eurovision-winning entry, Puppet on a String, and Cliff Richard's second placed 1968 entry Congratulations.